A two-part cold cure finish, based on Urea Formaldehyde resins, plasticised with alkyd and reinforced with malamine. The finish is highly durable, heat resistant, resistant to impact, abrasion and solvents. Intended use Bare wood, Veneered wood, hardboard, MDF and unsealed cork. Tough, chemically resistant and heat resistant finish. Enhances the colour of the wood. May be burnished to give mirror like finish using Rustins Burnishing Cream. 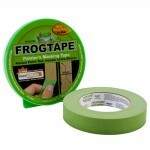 See product packaging for further information. The surface must be clean, smooth, dry and free from wax, dust and contaminants. Read the full instructions on the tin. 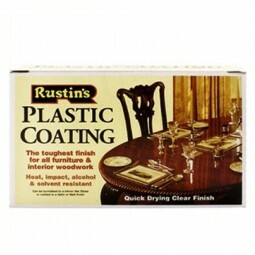 Nail holes and small cracks may be filled with Rustin’s Woodstopping. Bare wood may be dyed before coating with Rustin’s penetrating Wood Dye. Other brands of dye & stain may be incompatible. Do not apply Knotting or Sanding Sealer. The mixing ratio is 1 part Hardener to 4 parts Coating by volume. Once mixed, may be used for two days, if covered and kept in cool place. 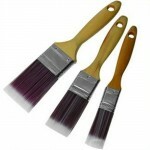 Application Using a brush or roller, apply evenly and liberally, finishing in the direction of the grain. 2 coats are usually sufficient on hardwood, Softwoods and cork may require a minimum of 3 coats, depending on the absorbency of wood. Drying Time The coating is generally touch-dry within 30 minutes–1 hour, depending on the temperature. Re-coating Time May be re-coated once the previous coat is touch-dry. Do not use below 15°C, or in conditions of high humidity. 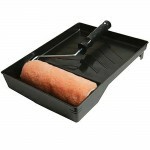 Coverage 13-15 sq.m per litre, 1 coat, depending on the absorbency of the wood.